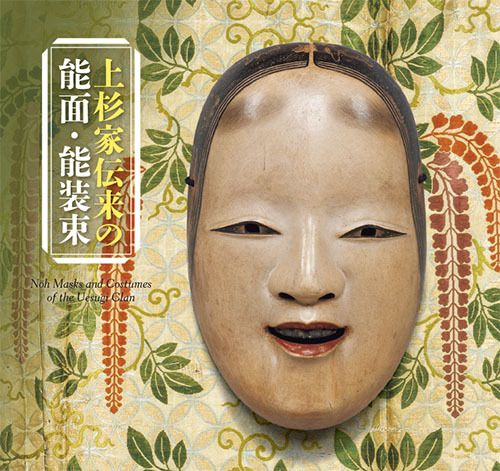 Noh—a masked drama unique to Japan—was enjoyed, supported, and studied by members of the warrior class, and performed at official events of the military government in the Edo period (1603–1868). The Uesugi warrior clan, who were major feudal lords at the time, held a collection of Noh masks and costumes so extensive it was said to fill two storehouses. Although this collection became dispersed in the 1930s and 40s, the Tokyo National Museum acquired 32 masks and 96 costumes that were formerly a part of it. These exquisite objects are valuable not only for their artistic quality, but also for their association with the successive lords of the Uesugi clan, who appreciated and patronized the performing art of Noh. On sale in the museum shop from January 29, 2019.